An original factory photograph of 39001, the first 3.5L SS100 produced. Registered CKV 250, it is shown parked outside the doors of the Foleshill factory. 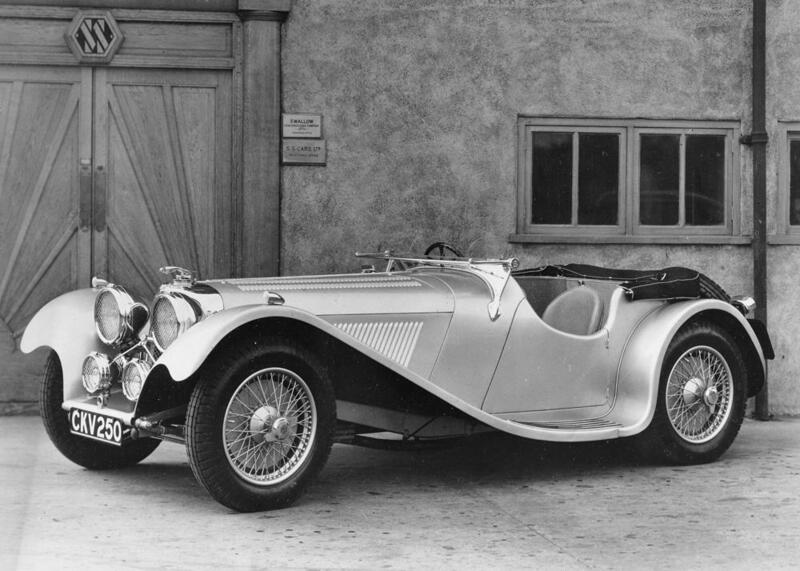 This car is the only SS100 to possess an official Jaguar Mascot, unique and not originally fitted to any other car. Usually known as the 'Prince Michael' mascot (as that was the first owner of the car in Roumania, presented to him by his regiment), it is unlike any other Jaguar mascot.